The joy of Eighth grade night and Homecoming festivities last Thursday night was short lived when the DMS Saints were shut out by the Gordonsville Tigers 38-0. 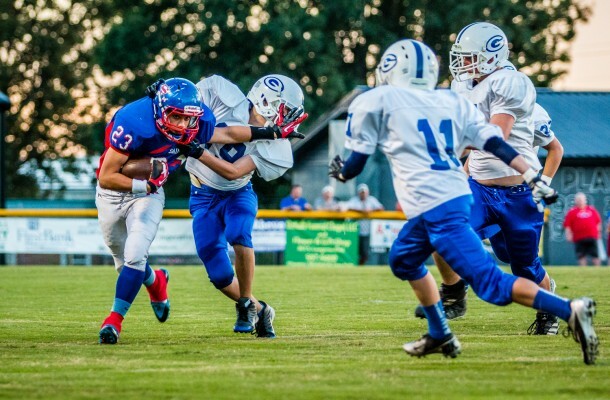 Gordonsville’s defense held DMS to only 137 total yards while the Gordonsville offense put up 338 total yards, led by # 28 Braxton Givens with 127 yards and # 80 Joey Parliament with 105 yards. DMS had the first possession of the game and got to the 35 yard line of Gordonsville before # 23 Tyler Bundy got hit for a 5 yard loss the after an incomplete pass from #19 Colter Norris got sacked for a 7 yard loss which ended the possession for DMS. 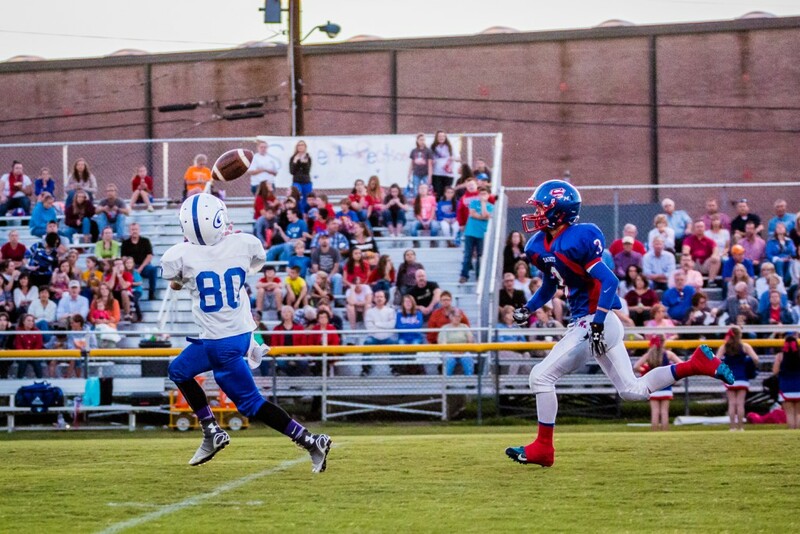 It only took 3 plays for Gordonsville to score on a 61 yard pass play from # 5 Adam Goolsby to # 80 Joey Parliament, and Gordonsville was up 6-0. DMS got the ball back on their own 43 yard line. #23 Tyler Bundy took a handoff and got 3 yards then a short pass to # 3 Grayson Redmon got DMS to their own 49 yard line. On 3rd down #19 Colter Norris connected with # 13 Tanner Poss for a 24 yard pass to get DMS to Gordonsville’s 29 yard line. After a handoff to # 23 Tyler Bundy the DMS Saints got to the 27 yard line but wouldn’t get any closer to the goal line and turned the ball over on downs. It took Gordonsville one play, which was a handoff to # 28 Braxton Givens and he ran for 72 yards for another Tiger touchdown and put them up 14-0. 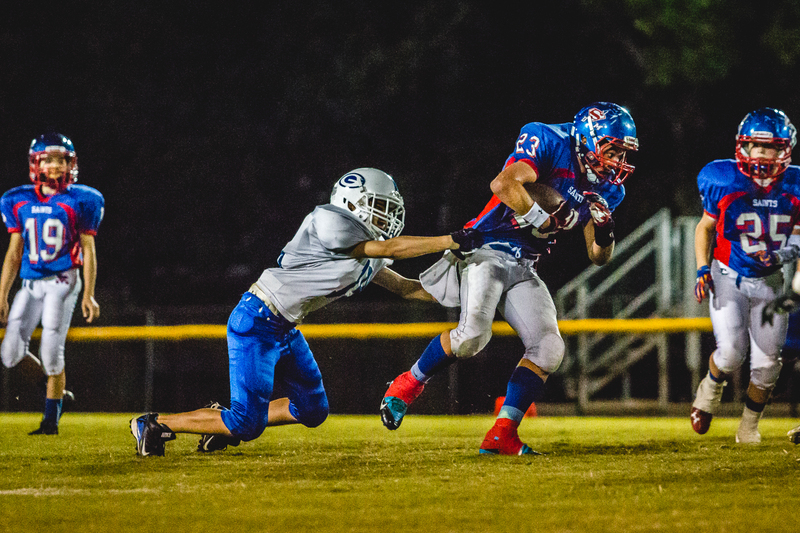 In the 2nd quarter the DMS offense struggled to get 70 yards while Gordonsville came up with 2 more touchdowns and a total of 263 yards to go up 30-0 at the end of the first half. 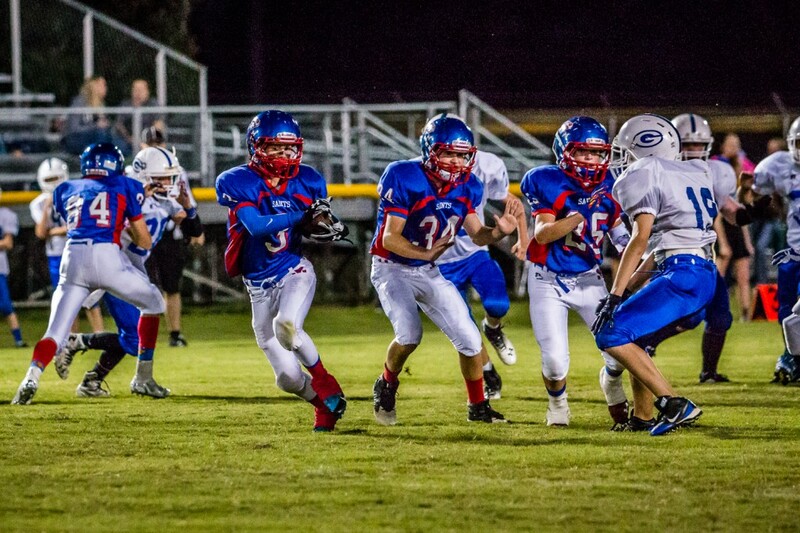 The 3rd quarter started with the DMS Saints defense holding Gordonsville to a 4 and out and got the ball on their own 27 yard line. 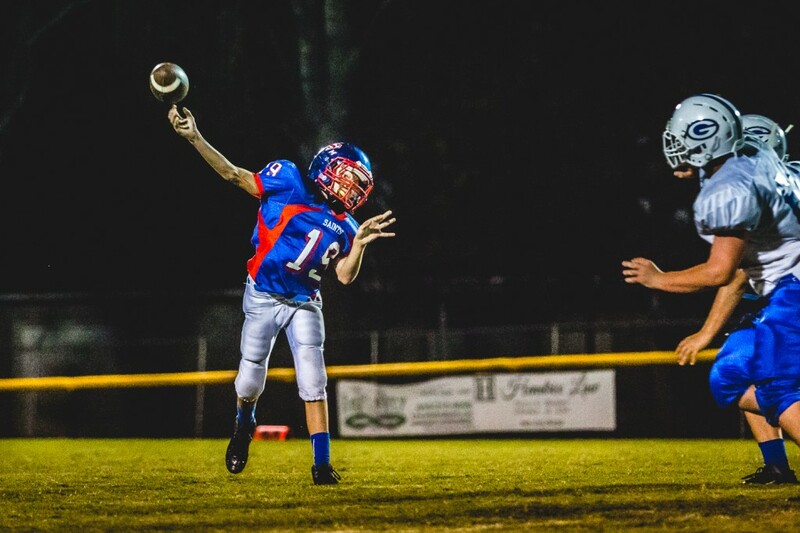 # 19 Colter Norris pitched the ball to # 5 Issac Hall and after a personal foul on Gordonsville DMS ended up on Gordonsville’s 38 yard line, but that is as close as they came to the goal line once again. A bad snap and a personal foul on DMS they turned the ball over on downs. 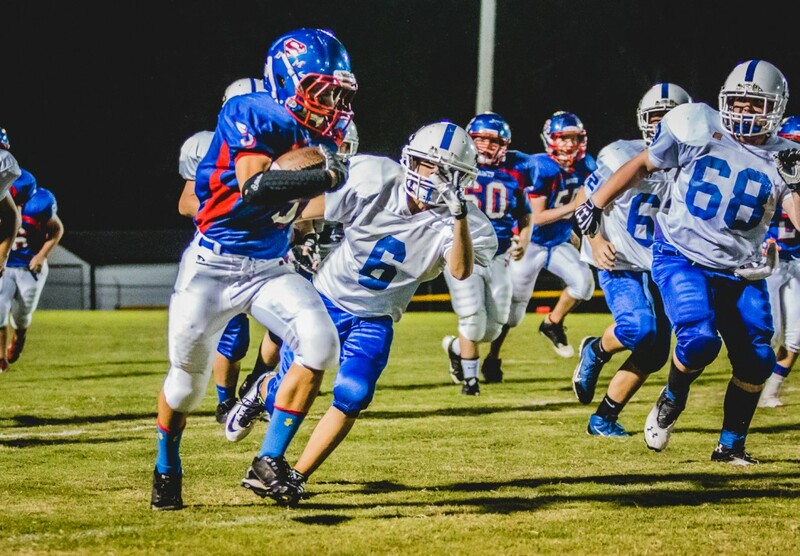 Gordonsville then gave the ball to # 28 Braxton Givens and he ran the ball 32 yards to score and put the Tigers up 38-0 and that is how the game ended up. #5 Issac Hall ended the game with 55 yards, #3 Grayson Redmon had 31 yards, #23 Tyler Bundy had 22 yards, #13 Tanner Poss had 16 yards, and #25 Noah Martin had 13 yards. 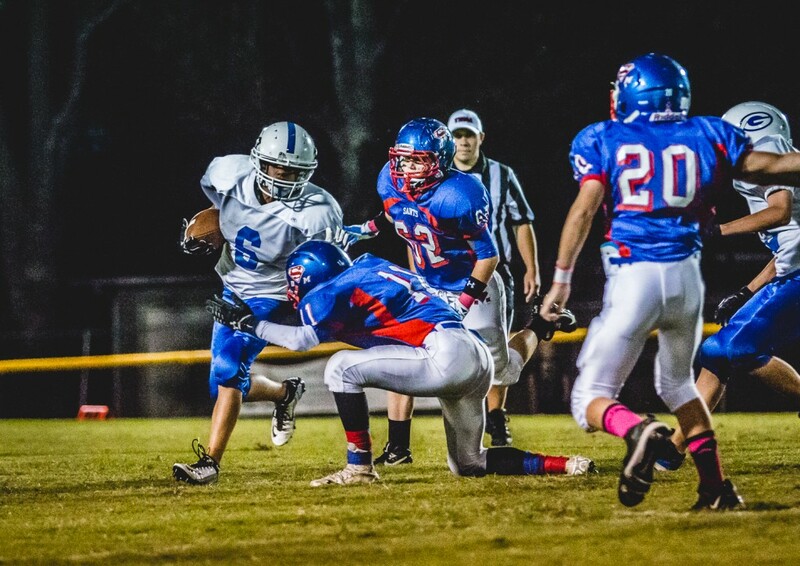 The DMS saints will play Tuesday night at Cornerstone Middle School at 6:30 in the conference playoffs.